Because you don't want to flame out! PitBuddy App is the latest tool in your rc car racing toolbelt. 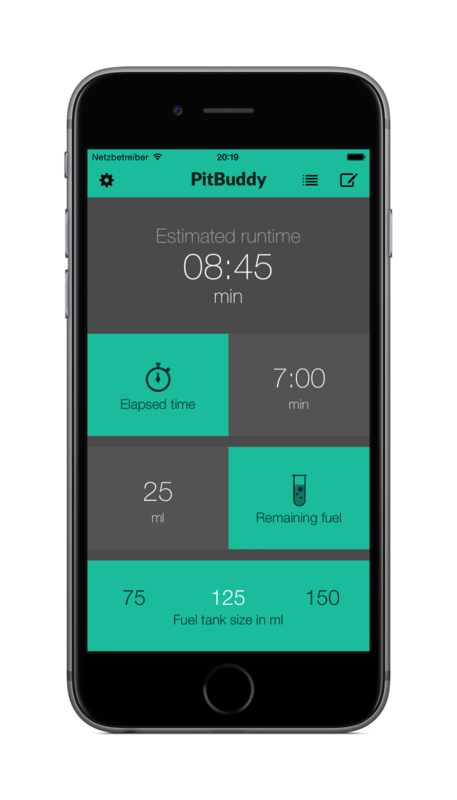 Step 1: Simply enter the time you've been on the track, how much fuel you have left in the tank, and PitBuddy App calculates your maximum runtime. * Well, to be honest, that's on you! More features are: multiple theme colors to match your car's paintscheme, save calculations into the run log for later reference, adjust the fuel tank size to ml precision, tweet about your mileage right from within the app.